Organizations can gain several kinds of benefits from using a SIEM system, but one that’s particularly intriguing is the ability to significantly improve the accuracy and speed of incident detection. With that said, the current trend in SIEM systems involves machine learning capabilities along with added direct human management for SIEM to be truly successful. 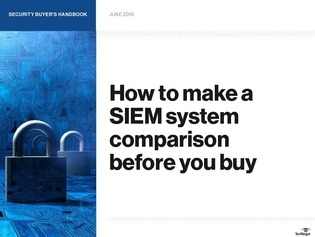 Open this security buyer’s handbook to learn what SIEM features are essential for your company and how a leading SIEM system works.